The original concept behind this post was that it was going to be my ending to In-Depth. Did you notice all those commas at the end of my In-Depth posts? That was supposed to be an artsy and clever thing. See, the commas were supposed to signify continuation, while this post containing a period meant an end. I really had my life together back in January to figure this all out. As you can tell though, things just got super busy and I decided to leave this post for the last day of school. Which clearly is not today. When we got out two weeks ago, I’ve been to occupied playing Webkinz (yes) to do anything else. This post only came back to mind early last week. I was going to start writing until I remembered… R E P O R T . C A R D S . I decided to hold off writing this just in case I needed to change some of my final “thoughts” following my report card comments. Luckily, none of my teachers have left me fuming. Today, I finally got myself together and am ready to write this post. It has a little bit of everything in it–final thoughts on In-Depth, my box, my last words, and a bit of advice to incoming TALONS. In-Depth night was an absolute blast. While there were some things I could do without (*cough* overpriced mediocre pizza and dripping sweat everywhere *cough*), there were so many amazing experiences to come out of the night. 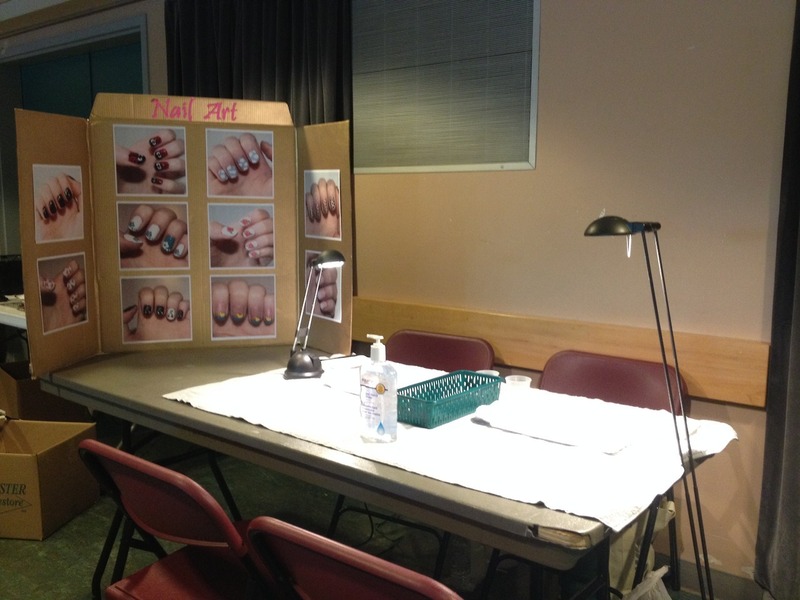 My learning centre was a booth where attendees could come get a couple of their nails done. It was a really cool experience to do nails on those other than the people who I’ve been comfortable with. My centre was super interactive and kept me busy the entire night. I am extremely happy with how my project turned out. I learned so much over the five months, and will continue using the skills in years to come. Although In-Depth is long over, I have continued to try new nail art weekly and am very thankful that I have the skills to pick up these new designs quickly. 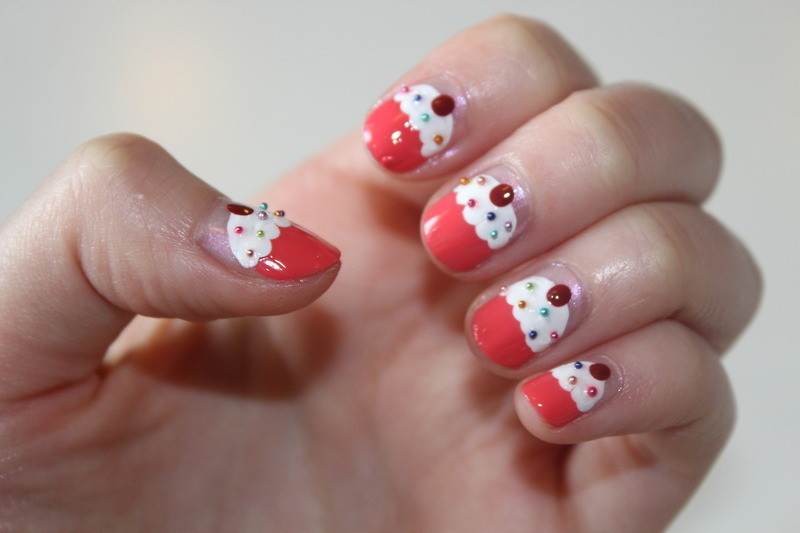 Additionally, I have just added nail art tutorials to I’m Hair For You, the blog I created during my Grade 9 In-Depth Project. It’s amazing to see how my two school projects have now merged together into my biggest “extra-curricular” passion. The blog has also grown into something much bigger than I ever believed. If you want to keep up with my hair and nail tutorials, follow I’m Hair For You HERE. As soon as I walked into the TALONS room in Grade 9, all I wanted to do was make my box. Learning new things? Doing cool projects? Making friends? None of those were important. Plotting out my box, however, was. From the beginning, I had a vision of my box being a Spongebob reference. It all started with the image of Spongebob making a rainbow overlayed with text saying “Procrastination” (you know, like “imaginaaaation”). However, I learned to manage my time decent enough and found this didn’t really represent me. Also, I figured out that my artistic skill level wasn’t up to that standard. Next up was “The”. In the episode titled Procrastination, Spongebob really struggled to write his essay for Boating School. In one scene, a montage of him working really hard is seen, but in the end, he’s only written the word “the” on his page. Personally, I felt a strong emotional connection to this scene. I stuck with the idea of simply writing “the” for quite a long time until I realized that the uncultured, non-Spongebob-watching folk would just think that I forgot to finish my box. Therefore, we move to idea three: “Penny, Potato Chip, and Wadded Up Napkin”. This was going to be a really funny and three dimensional one, until I realized that the chip would probably get moldy and everything would eventually fall off. During the time when it was finally logical to be thinking about my box, I was really not sure what I would do. Until it finally came to me: EVIL KERMIT. Maybe staying in my Spongebob state of mind was holding me back. It was when I thought outside of the box (haha) that the best idea came to me. My box reads “me: make a nice box to celebrate your time in TALONS. me to me: make it a meme instead”. 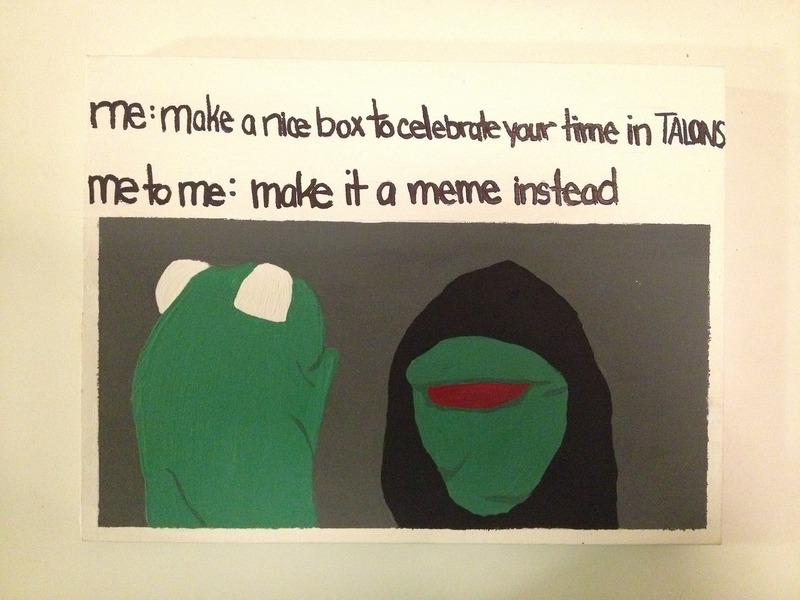 Underneath the text, I painted the iconic Evil Kermit image. Out of everything I’ve done in TALONS, this is definitely the thing I’m most proud of. I’ve never painted anything this nice, I’ve never been this funny, and (I believe) I’m the first meme to make it on the wall. This is my legacy and I’ve never been prouder. I couldn’t leave this post without pitching in a couple words of wisdom for incoming TALONS. In the months before joining TALONS, I know that I was aggressively stalking the TALONS blogs looking for any insider tips on how to survive the program. This was my first mistake as people on their blogs seemed so intelligent and in control of their lives, while I was the complete opposite. Therefore, by leaving the following three tips at the bottom of this post, I hope that at least one incoming TALONS student will go into the program with a little more confidence. 1) Take risks! Try something new, step outside of your comfort zone, and let yourself experiment in the most supportive environment possible. Let others in on your goals and use the many aspects of TALONS to grow and accomplish them. Achieving greatness out of the things that you feared the most will always pay off. They may even be your fondest memories of the program. Most importantly, these risks will set you up for greatness beyond TALONS and give you the confidence you need for the next time you need to do something initially unsettling. 3) Don’t wear ripped jeans on the first day of school. Please. It’s for your own good.